St. George Gobbler Run | Thanksgiving Day 10K, 5K, & Kids Race | Thanks for Spending Thanksgiving Morning with Us! Thanks for Spending Thanksgiving Morning with Us! What a perfect day for a run! 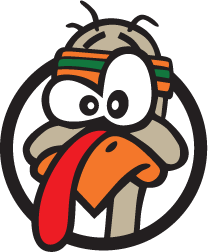 We hope you all had a great time with us for the inaugural Gobbler. We ended up with about 850 participants in the 3 races today. Hopefully you had a great time and burned some calories to make some extra room for the meal! We will continue the Gobbler next year. So watch for registration and we hope to see you again and make this an annual tradition for you and your family.